London, April 2019: Celebrate Easter 2019 in style as two of the world’s most iconic brands, Fabergé and The Ritz London, launch a unique experience to ignite the senses. Renowned for their luxury and elegance, this bespoke Easter collaboration is the perfect marriage of heritage and modernity. John Williams MBE, Executive Chef at The Ritz comments; “As a Chef, I have a passion to create dishes which are both visually beautiful as well as full of flavour. It is a huge honour for my Eggs Fabergé dish to be endorsed by Fabergé with this special partnership for Easter. 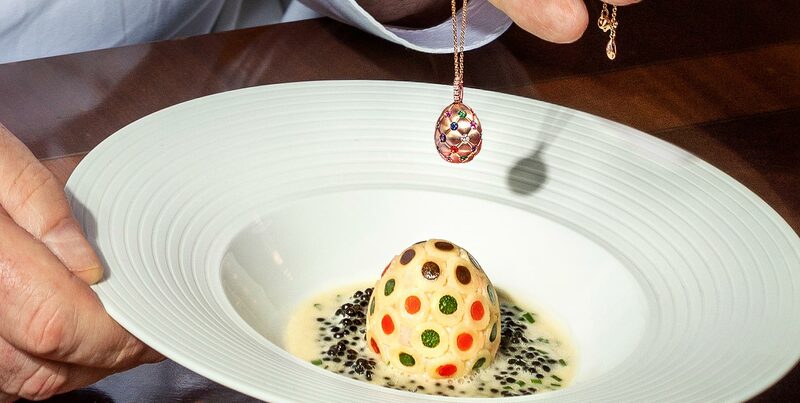 I hope that our guests will enjoy the dish and it reflects the technical mastery and exceptional craftsmanship for which Fabergé is world-renowned”.